My husband was teasing me the other day. He said that I’ve gone from obsessing over redecorating our mantel to obsessing over redecorating the front door. I have to admit that he is kind of right. 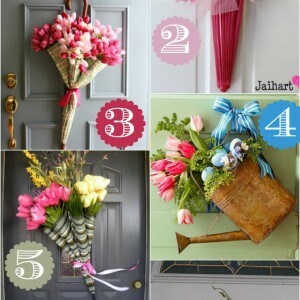 I LOVE the challenge of finding creative door decor ideas that are non-traditional and don’t always involve a wreath. 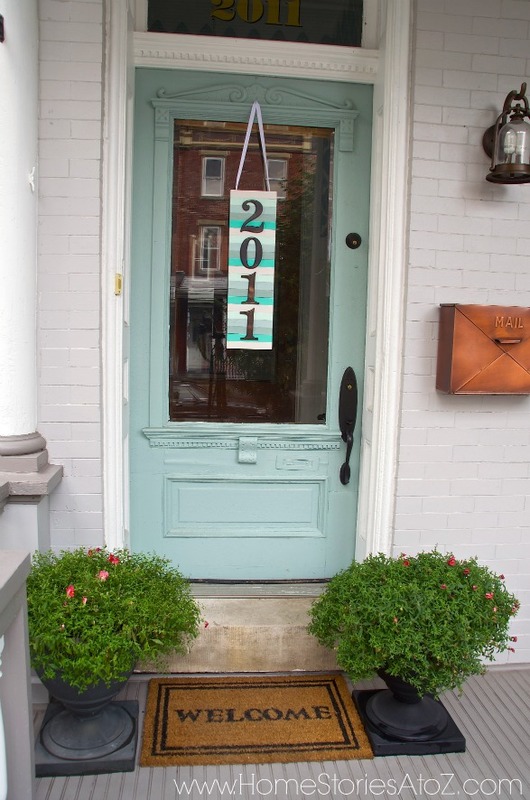 For this month’s Lowe’s Creative Ideas Blogger challenge I thought I would make an inexpensive address plaque made from PAINT STICKS for the front door. This project is very easy to do and would make a fantastic housewarming gift! I’ll show you how to make your own. Step 1: Gather supplies needed for DIY Address Plaque. Step 2: Cut your board to desired size. 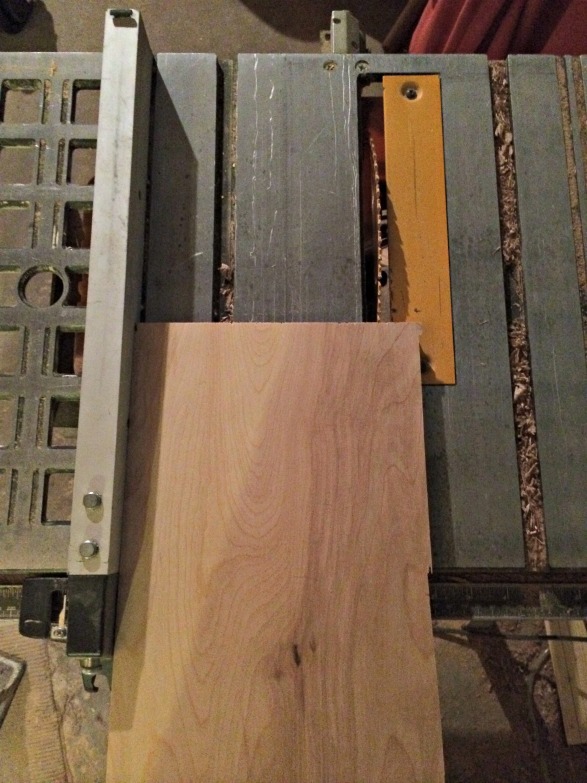 My board seemed a little bit wide so I ran it through my table saw and cut it down to 7″x24″. Step 3: Cut your paint sticks and secure with wood glue. I used a chop saw to quickly cut my paint sticks into 7″ pieces. 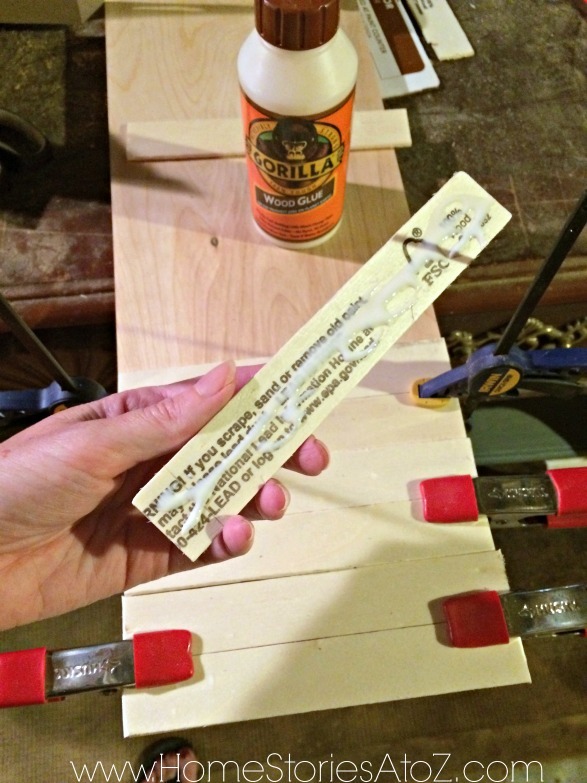 Secure your paint sticks to the board using wood glue and clamps. Allow to dry before removing the clamps. Step 4: Paint your paint sticks. You can use any paint that you have on hand to paint your sticks. I used sample pots of Valspar paint as well as left over paint from projects around the house. 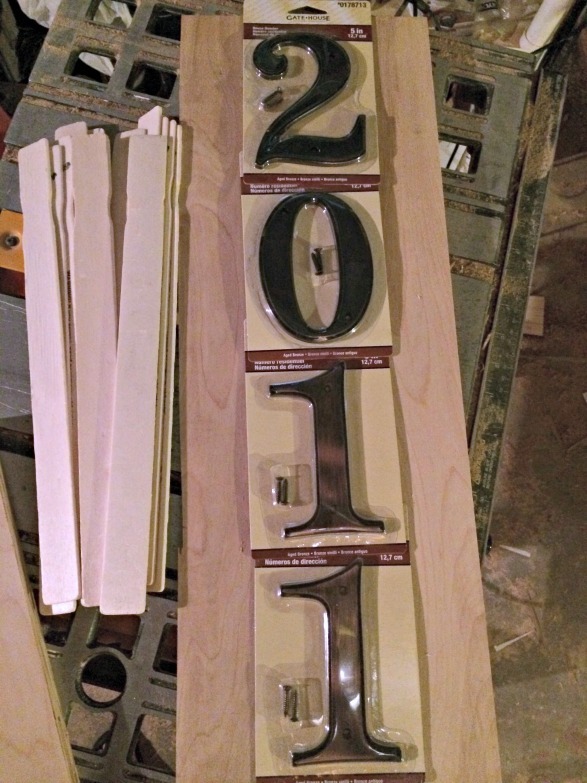 Step 5: Arrange your numbers, drill, and attach with enclosed hardware. Place your address numbers on the plaque where desired and drill holes into your board. Use the enclosed screws to secure the numbers to the board. To hang your plaque, you will need to attach picture hangers to the back. I love to use D-ring hooks on the back of wood wall art. Simply place the D-rings on the back of your plaque, mark the holes with a pencil, drill, and attach the D-rings with screws. Step 6: Attach a ribbon to D-ring hooks and hang. Isn’t it cute? We live in the city and our house numbers can be difficult to see from the street. This plaque makes it very easy for friends who are visiting to find our place. You can find tons more DIY ideas at Lowe’s Creative Ideas and also by following Lowe’s on Instagram, and Pinterest. Sign up for the Creative Ideas magazine and app by clicking below. Disclosure: I am a member of the Lowe’s Creative Ideas Blogger Network. I was given a gift card to complete this challenge. Ideas, tutorials, opinions are my own. 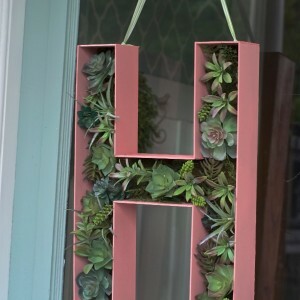 Door Decor: How to Make a 3D Wood Letter Monogram "Wreath"
Beth, I’d love to know the name of the color you have on your front door! It’s beautiful. Unfortunately I don’t have all the names of the colors written down. 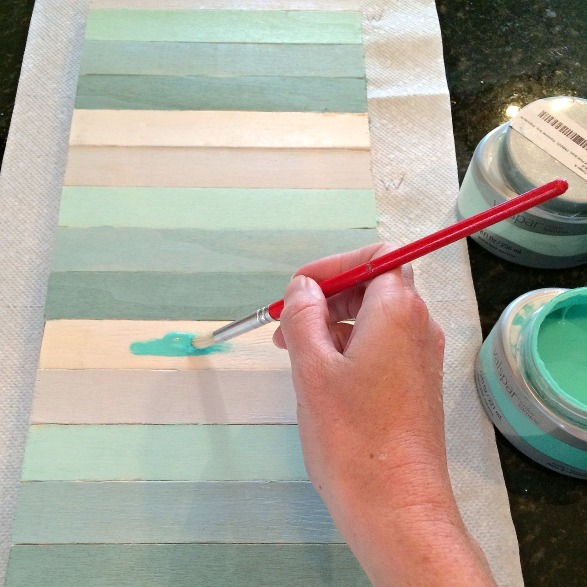 I used a few Valspar sample colors and then a few blues that I had from previous projects. The key is to choose shades of the same color family. If you have red/orange brick, I think a blue door would look nice but the shade of blue is up to you. This is a good post on blue doors. The comments in the post show more pictures from homeowners: http://bit.ly/1oU517Q. I hope this helps! I love the color of your front door.What color is that? Thanks! It’s Wythe Blue by Benjamin Moore. Love it! What a fun pop of color! 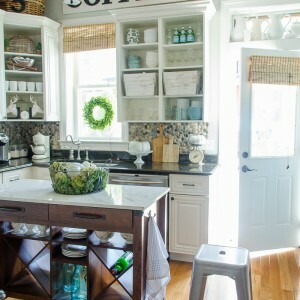 I love it – it works so perfectly with that gorgeous door! So cute and those pretty colors look like they’d go perfect on the beach house I don’t own…yet. came out sO wonderful, I may need to make one and TAG you back with the results!! Super cute Beth! I saw your pre-picture on Instagram and couldn’t wait to see what you were whipping up. Phew! It was down to the wire but I pulled it off. I always work better when under pressure. Thanks for visiting me Britt!